I’ve always had a bit of a soft spot for owls. Wander through my front door and glance upwards and you’ll find at least two watching you, a Tawny Owl and a Barn Owl, both sadly gathered as roadkills. Above our fireplace is a large painting of a Barn Owl. 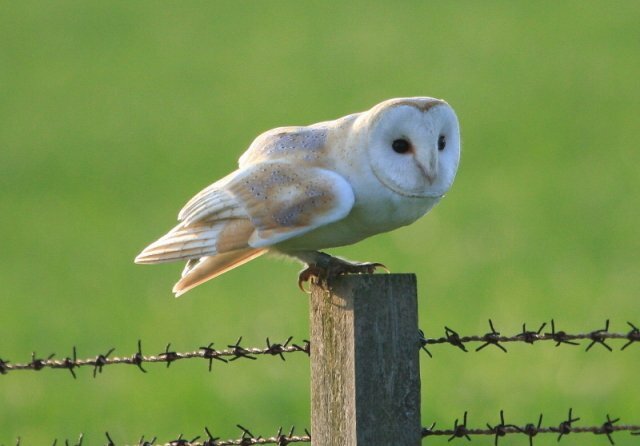 The current header image of my own blog is another Barn Owl, this one a ringed individual I found daylight hunting, and unconcerned by the presence of my car as it hunted from posts presumably feeding young in early summer last year. In my ‘younger’ days I thought nothing of spending several hours in the field in the dark searching for owls. These days I need the sleep more so get out at night less. This Autumn/Winter has brought excellent numbers of another owl from its breeding grounds in Scandinavia and one that is a damn sight easier to see as it is partly diurnal or active during the day. 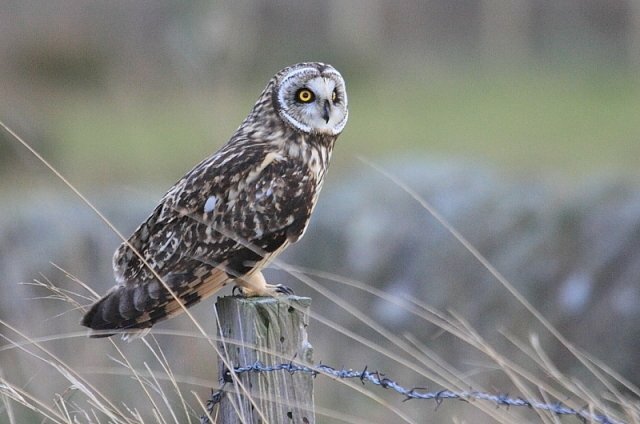 Short-eared Owls do breed in Britain but every few years an ‘irruption’ of the like we are seeing occurs. Talking to Jan Södersved the editor of the Birdlife Finland magazine Linnut whilst we were both in Portugal in early October suggested that all of the owl species in Finland had had a very productive breeding season. The numbers we have wintering in Britain are certainly bearing that out. Every bit of rough grassland seems to have one or two in temporary residence. Some larger areas of suitable habitat are holding numbers in double figures. This is providing not only birders but those with just a passing interest with some fantastic opportunities to get reasonably close to a real wildlife spectacle as the Short-eared Owls emerge from roosts and interact with one another, hunt and occasionally pose for the camera. Last week after picking the kids up from school we had taken our usual ‘short-cut’ through a small hamlet and along a route that takes us through some fields and past a former opencast mine that has been restored and is gradually re-wilding. One day the kids will work out it isn’t really a short-cut in the true sense of the word as the distance is actually longer than the more direct through-town route. What it does offer though is an opportunity to occasionally bump into some wildlife, particularly in the winter when time is short and late afternoons offer the last few minutes of daylight. The light on this day was amazing, bathing everything with a richness of colour, enlivening every hedge and turning a stand of bare trees into a work of natural art. It breathed a deep hue into last year’s dry grass as we came alongside the last stretch home. We stopped to watch two Roe Deer across the field and I caught the movement of an owl gliding low away from us. We pulled around the other side and the kids bundled out of the car, keen to see the owl despite the falling temperatures. Through the birch scrub masking our view my eldest picked out a second owl and moments later we stood watching three Short-eared Owls circling and grappling in mid-air; my kids were memorised as they lazily circled and swept by, rich cream against the darkening sky with the occasional flash of a yellow eye. Now had I been trying to show them a warbler or a sparrow or something rarer (but smaller) I’m pretty sure that I wouldn’t have had the same enthusiasm. There is unquestionably something about big-eyed, round-faced, silent flying owls that just does it for kids. Maybe they were waiting for a wizard to appear but maybe, just maybe they’ll remember that encounter far off in the future. Like many other birding parents I want them to ‘get’ nature and value it, I’ve learned not to push too hard but a few more owl encounters might just do the trick. Geez, Barn Owl during the day??? This always seems to me to be the quintessential nocturnal owl, and I have only ever seen them in the light of a street lamp on lucky nights. Day roosts? Almost impossible, I can only recall two or three occasions in Africa, but none in Germany. And your bird is mighty pale, even for a Barnie, no? And I agree with your approach towards your kids as a birding dad: just ensure they know there is diversity out there, and ensure they get a feeling of what nature is. Whether they become birders or bankers (or both?) is up to them. Aaaand, mind sending a Short-eared down to Heidelberg? What beautiful photos of the owls! Funny they are both standing on barbed wire fences. We have amazing owls here in Washington state, but I haven’t seen a single one yet.